Last week marked the 200th anniversary of "The Star-Spangled Banner," and Baltimore is pulling out all the stops. There were fireworks displays, historical reenactments and live performances all over the city's Inner Harbor. WHAT DOES THE NATIONAL ANTHEM HAVE TO DO WITH BALTIMORE? Pretty much everything. The War of 1812 was in large part defined by the Battle of Baltimore in September 1814. This pivotal battle marked a turning point in the United States' 2 -year war with England, with America repulsing British forces despite the heavy bombardment of Fort McHenry. U.S. commander George Armistead refused to surrender and at the end of the assault, British troops retreated and American troops raised the American flag. 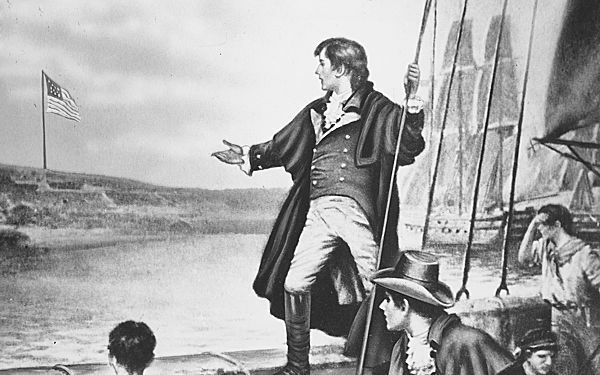 "The Star-Spangled Banner" is one of the nation's best-known and most beloved songs. It's belted out with more frequency and greater gusto than any other in American history except, maybe, "Happy Birthday." But Key never had written a song, and there's a good reason, according to historian Marc Leepson, who published the first modern biography of Key, "What So Proudly We Hailed," in June. "He was an amateur poet, but not just any poet he was a bad amateur poet," Leepson said. "And he never wrote a song in his life. Why? His family described him as 'unmusical.' But that probably means tone deaf. There's a good chance the author of our country's most famous song was tone deaf." Although the phrase "Star-Spangled" was made famous through Key's text, historian Marc Ferris, author of "Star-Spangled Banner: The Unlikely Story of America's National Anthem" said first references in literature were made much earlier. William Shakespeare twice used the turn of phrase, once in "A Midsummer Night's Dream" ("by spangled star-light sheen") and again in "The Taming of the Shrew" ("what stars do spangle heaven with such beauty"). Key owned slaves, and his descendants were supporters of the Confederacy. But during the Civil War, 46 years after the War of 1812 was won and 18 years after Key died, Northern soldiers adopted "The Star-Spangled Banner" as their unofficial national anthem. Meanwhile, Confederate soldiers adopted the tune "Dixie," written by Daniel Decatur Emmett a northerner. This year's anniversary coincides with the anniversary of the Sept. 11 attacks. Fort McHenry will host a ceremony that includes raising the national Sept. 11 flag a patchwork stitched onto the flag that flew above the rubble at the site of the World Trade Center attacks. In June 2012, threads from the original flag that soared above Fort McHenry in 1814 were sewn onto a patch and attached to the national Sept. 11 flag. 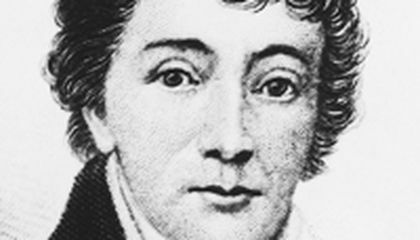 Critical thinking challenge: Francis Scott Key coined a phrase that appears on U.S. currency but does it appear on a coin? Honestly, even as someone who has taken civics and american history classes, most of this infomation comes as news to me. The article is correct in assuming that many people are deprived of this information. I never knew how many parts of the Star Spangled Banner dealt with Baltimore. Reading about the key facts that went into the song, was very interesting to learn about. I think that its a good thing that people are still celebrating anniversaries that made this country what it is now. I never knew that the "Star-Spangled Banner" was affiliated with Baltimore until I read this article. Well now we know where the Star- Spangle Banner. I liked how it became our national song. Yes he did have a phrase that was on a coin the quote was "In God We Trust" It is on the quarter today. It is also on the one dollar bill.